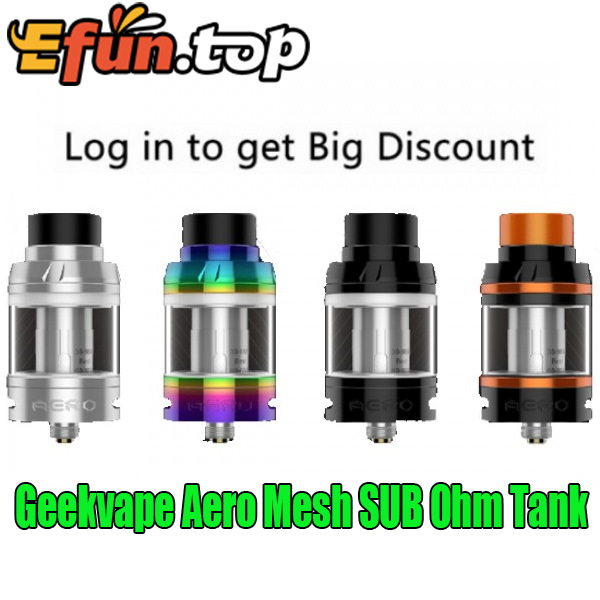 GeekVape Aero Mesh SUB Ohm Tank is an elegant sub-ohm atomizer with 4ml capacity. It adopts easy top refill design that you can screw off the top cap easily. And adjustable bottom airflow slots brings smooth airflow to the coil without compromising its flavor.